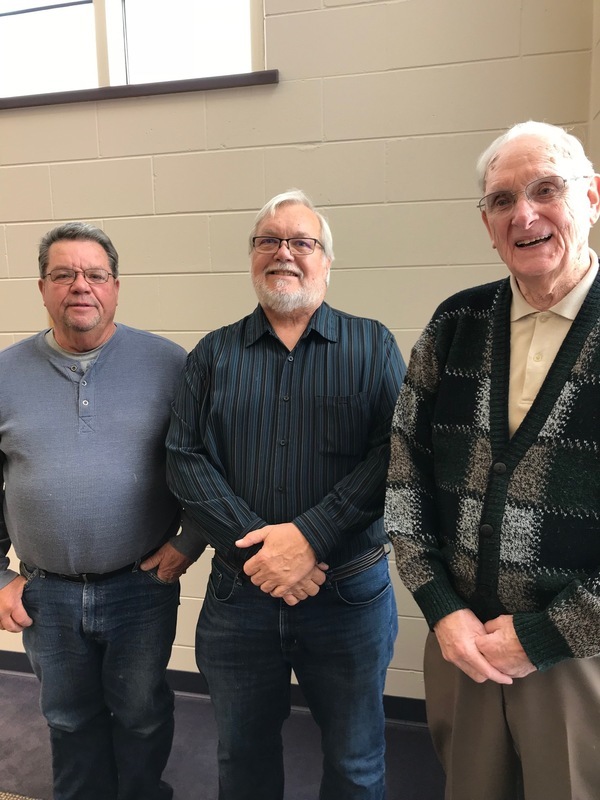 Local Veterans were honored at the Pecatonica Veteran’s Day celebration held on Friday, November 09, 2018, at the Pecatonica High School (PHS). 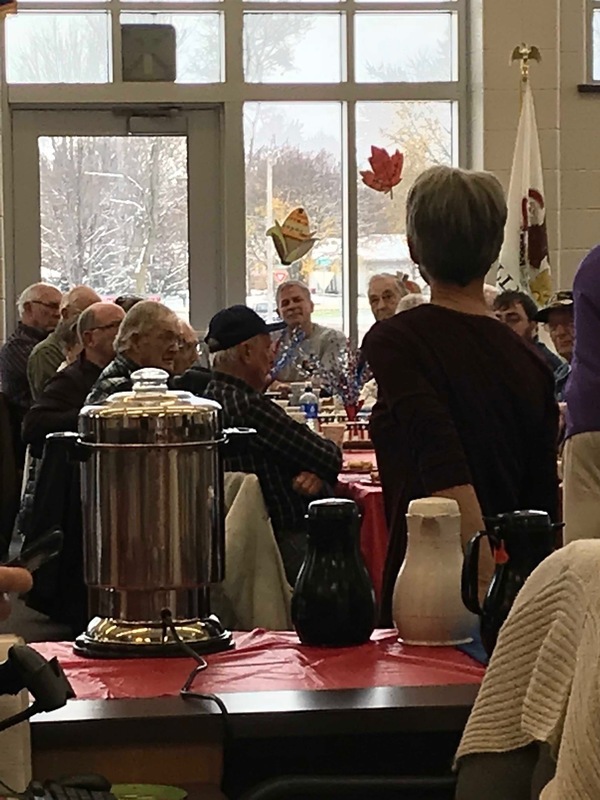 Thirty-six local Veterans enjoyed the PHS kitchen’s “famous apple crisp" and coffee and the 4th grade students honored them with song. Staff, friends, and family members stopped by to wish them well. 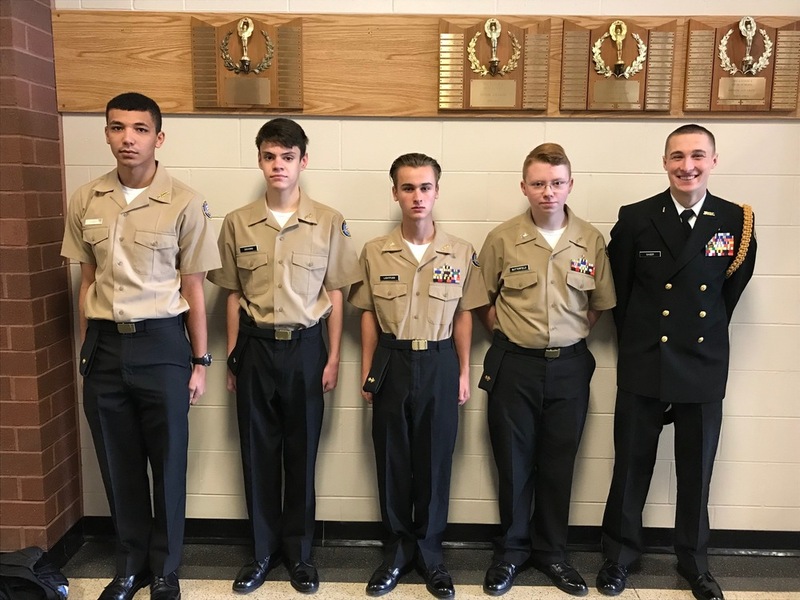 Our Jr. ROTC students; Daryl Quincy (11), Jaden DiGvonni (11), Elijah Lichtfuss (11), David Butterfield (11), and Max Sager (12) were there to assist for the celebration. 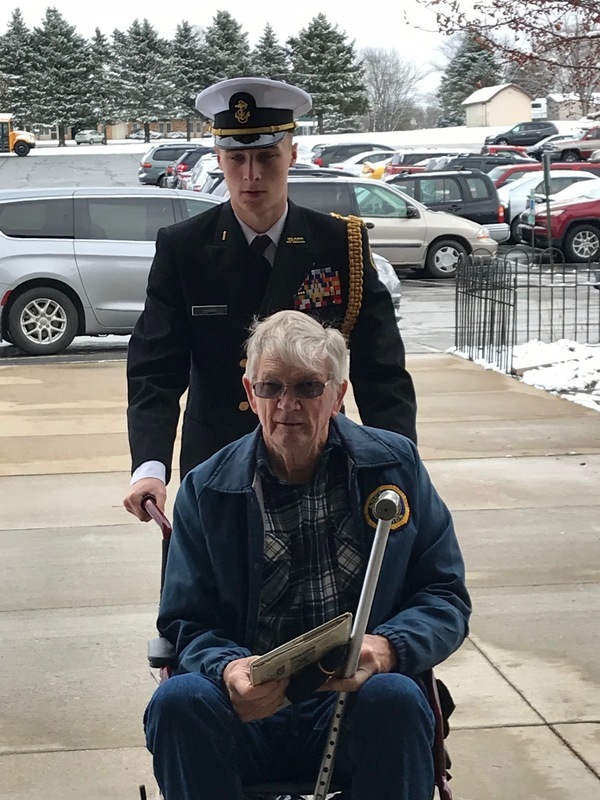 As the Veterans were leaving the building, PHS students and staff came out of their classrooms and formed a tunnel in the hallway to applaud them as they walked out. We love and appreciate our Veterans. Thank you to all the servicemen and women who attended and all who prepared for this special event.